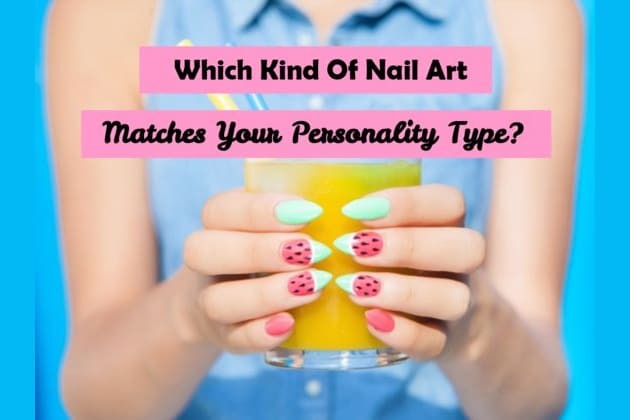 Which Kind Of Nail Art Matches Your Personality Type? Your phone rings. What's your first instinct? Your personality most closely matches the ISTJ personality type, or the "duty fulfiller." Logical, thorough, and somewhat serious, you're a true introvert who places great importance on honesty and integrity. You respect rules and traditions and generally expect the same of others! You have a unique sense of humor that makes you quite the character. Your personality most closely aligns with the ISFJ personality type, or "the Nurturer". You're the perfect example of loyalty and kindness! Though naturally introverted, you will admirably go to great lengths to help someone in need. Your knack for helping others is usually made possible by your innate ability to remember small details and the specific needs of the people around you. You value peace and do what you can to create a peaceful environment, wherever you go. Your personality most closely matches the personality type ESTJ, or "the Guardian". You live in a world of facts and concrete needs.. Outgoing, practical and decisive, you are effective in carrying out your plans while adhering to a strong moral character. You naturally gravitate towards roles of supervision in life. You take joy in making sure others do what they're supposed to do (and NOT to do what they're not supposed to do). You are excellent at organizing people by setting clear boundaries! Your personality most closely aligns with the ESFJ personality type, or "the Caregiver". Always energetic, outgoing, polite and proper, you are happiest when you can help someone. You have an incredible depth of generosity and compassion in your heart and you place great value on harmony and loyalty. You may come across as bossy, but it’s only because you care so deeply for those around you that you're willing to push them in the right direction when they need it. Your personality most closely aligns with the ESFP personality type, or the notorious "Performer"! A natural born star, you are outgoing, friendly, and sometimes loud. You're optimistic, eager and often outrageous. You can get bored easily, so you’d almost always rather be spending time with friends than sitting at home left to your own devices. You're spontaneous and have been known to fly off to Never Land in a moment’s notice! Your personality most closely matches the ENFP type or "the Inspirer"! You're warm, enthusiastic and full of potential. You've always been a dreamer at heart who loves to imagine all of life's endless possibilities. You are warm and creative and generally look on the bright side of things. You have a unique ability to see the good in everyone and you use it to inspire and motivate them to utilize their talents to the fullest! When things get a little rough (like needing to defeat an evil sorcerer), you are quick to improvise in order to come out victorious. Never forget, you have an infectious and inspiring personality! Your personality most closely matches the ISFP type, or "the Artist"! Primarily focused inward, you are strongly in tune with your senses. You're also in tune with the way things look, taste, sound, feel and smell. There's not a thing you don't notice! You enjoy having your own space, but you're extremely loyal and committed to your close friends. You may seem thick-skinned, confident and dancing to your own tune, but deep down you are incredibly sensitive and fragile. Your personality most closely matches the INTJ type or "the Scientist"! Bright and forward-thinking, you are an independent, natural-born leader. You live in the world of ideas and strategic planning, and you're constantly gathering information. You have a tendency to be skeptical and pessimistic but you have a remarkable ability "to connect the dots". Motivated to reach your goals and hold yourself to a higher standard, you often have streaks of brilliance and success. What type of nail art best matches your inner self?